Governor Walker also requested a Federal Emergency Management Agency Preliminary Damage Assessment as the first important step to requesting federal disaster assistance. 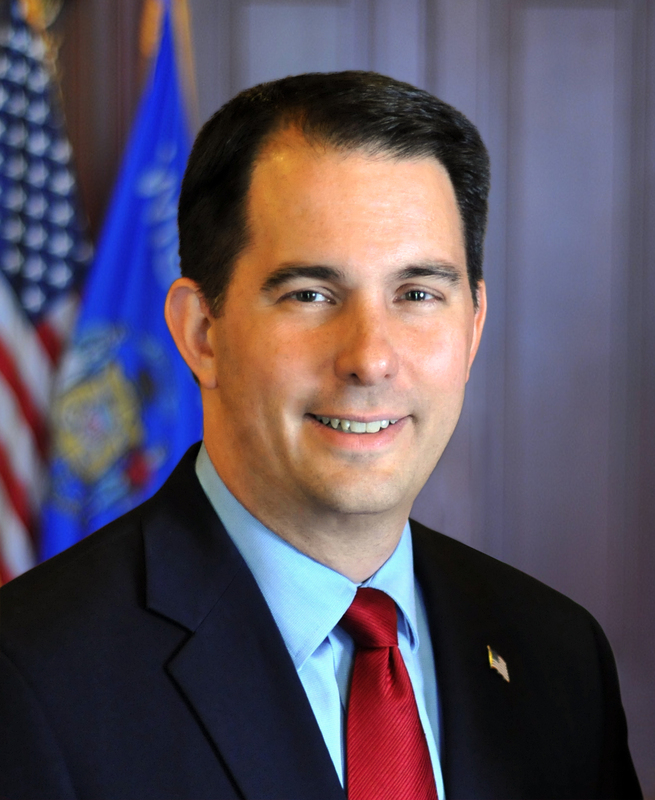 Madison – Governor Scott Walker toured northern Wisconsin following torrential rains last week to view damage firsthand and issued a State of Emergency authorizing the use of the Wisconsin National Guard to aid in recovery efforts. Approximately 25 Wisconsin National Guard members reported to state active duty today to assist local communities in assessing the extent of road damage in parts of northwest Wisconsin. The Guard’s assessment teams are working closely with Wisconsin Emergency Management (WEM) and the Department of Transportation (WisDOT) engineers to conduct those assessments over the next several days. The Guard assessment teams are comprised of engineers from the 157th Maneuver Enhancement Brigade’s 724th Battalion, headquartered in Chippewa Falls. Governor Walker also requested a Federal Emergency Management Agency (FEMA) Preliminary Damage Assessment as the first important step to requesting federal disaster assistance. FEMA will conduct Preliminary Damage Assessments in northern Wisconsin next week, which is expected to take a few days to complete. Information gathered will be provided to Governor Walker to help determine if a federal disaster declaration is needed. Governor Walker additionally asked all state agencies to review their programs for financial assistance tools to help bridge the gap in anticipation of federal funds. Several cabinet agencies have already met to sort through how they might help the areas affected. The Department of Transportation (WisDOT) staff are inspecting and documenting the impacts and damages to existing infrastructure and looking into what types of funding may be available for repairs. WisDOT will utilize $2.5 million in federal funds requested to accelerate repairs to northern Wisconsin roadways damaged by flooding. Road closures and detours can be found here. The Department of Health Services (DHS) continues to be in contact with local health departments to provide resources and assistance as requested. One such resource is the Wisconsin Flood Toolkit, which is designed to aid local leaders in offering clear and accurate information about protecting people and property before, during, and after a flood. You can find the Wisconsin Flood Toolkit here. Yesterday, DHS also announced replacement FoodShare benefits are available for those who lost food due to the severe weather northern Wisconsin experienced last week. Those who lost food due to flooding, power outages, or being unable to access their homes or county offices due to the storm are eligible to report lost benefits as a result of a DHS acquired waiver. FoodShare members affected by flooding in northern Wisconsin who wish to request replacement benefits should fill out this form and submit it to their local income maintenance agency. The Department of Tourism reminds Wisconsin travelers despite the State of Emergency declaration in eight counties, northern Wisconsin remains open for business. Travelers are encouraged to call ahead to confirm conditions rather than cancel vacation or travel plans. Tourism is also sharing travel updates and tourism contact information on their website, and their Regional Tourism Specialists are conducting regular outreach regarding the latest conditions in the affected areas. Wisconsin Emergency Management (WEM) continues to work with local, tribal, and county officials assessing the damage and coordinating state resources. WEM is also working closely with FEMA and other federal agencies to provide situational awareness and review all possible disaster resources. The Department of Administration (DOA) made $3 million in funding available through Community Development Block Grant Emergency Assistance Program (CDBG-EAP). The funds may be used to assist eligible, low to moderate income homeowners for housing rehabilitation, business assistance, and repair local public infrastructure. Local communities should work with the Division of Energy, Housing, and Community Resources to apply. Please visit their website or call (608) 266-7531. The Department of Administration also notified local governments that they may use state contracts to purchase goods and services as they recover from flooding and storm damage. A complete list of contracts available to municipal governments can be found on the State’s procurement website, Vendor Net. The Department of Agriculture, Trade, and Consumer Protection (DATCP) is connecting affected farmers with crop damage and livestock shelter needs with assistance and counseling through its Farm Center and Animal Health Division. To reach the Farm Center and Animal Health Division, call (800) 942-2474. Food businesses suffering flood damage and needing assistance in determining whether the food can be salvaged should contact Troy Sprecker of the Division of Food and Recreational Safety at (608) 224-4718 or Troy.Sprecker@wisconsin.gov. Major storms bring temporary home improvement works and scams to Wisconsin communities. Contact the Bureau of Consumer Protection at (800) 422-7128 or datcphotline@wisconsin.gov to find out if there are any complaints on file against a particular contractor. Additional information can be found here. The Wisconsin Housing and Economic Development Authority (WHEDA) is working directly with local non-profits on emergency housing for residents displaced by the flooding. Homeowners with a WHEDA mortgage that have been negatively impacted by the flooding should contact WHEDA at (800) 562-5546. The Department of Natural Resources (DNR) is putting procedures in place to expedite permitting requests for repair work. The agency continues to work with Iron County on damage clean-up at Saxon Harbor. Outreach work continues to remind citizens that were in flooded areas to have their private walls tested and disinfected if necessary. DNR updates its Current Conditions website for state parks, trails, and other properties to let people know the Northwoods is not closed and visitors are encouraged to continue with their summer and weekend plans. The Department of Workforce Development (DWD) Unemployment Insurance (UI) program stands ready to assist workers who are out of work as a result of the flooding and are eligible for UI benefits. In addition to providing regular UI benefits to eligible individuals in the flood area, DWD is monitoring any action taken by the federal government that would declare the area a federal disaster zone, which would initiate the federal Disaster Unemployment Assistance (DUA) program for those who are out of work due to the effects of the flooding and are not eligible for state UI benefits. To file for regular UI, please click here. For more information on the federal DUA program, click here. The Public Service Commission is monitoring utility infrastructure, local grid reliability, and fuel supply to the region. Updates on the flooding in northern Wisconsin are available at http://readywisconsin.wi.gov. Tammy Baldwin’s way ahead of the gov as he pursues his delusional importance at the RNC.